Editor's Note: Today we hear from Roger Pilc, CIO at Pitney Bowes, a global provider of innovative shipping solutions for businesses of all sizes. Learn how this established company used Android, Apigee, G Suite and Orbitera to create new cloud-based solutions, add flexibility and intelligence to sending devices and develop an app store that better serves their clients. At Pitney Bowes, we’re always looking for new ways to transform the shipping and mailing industries. 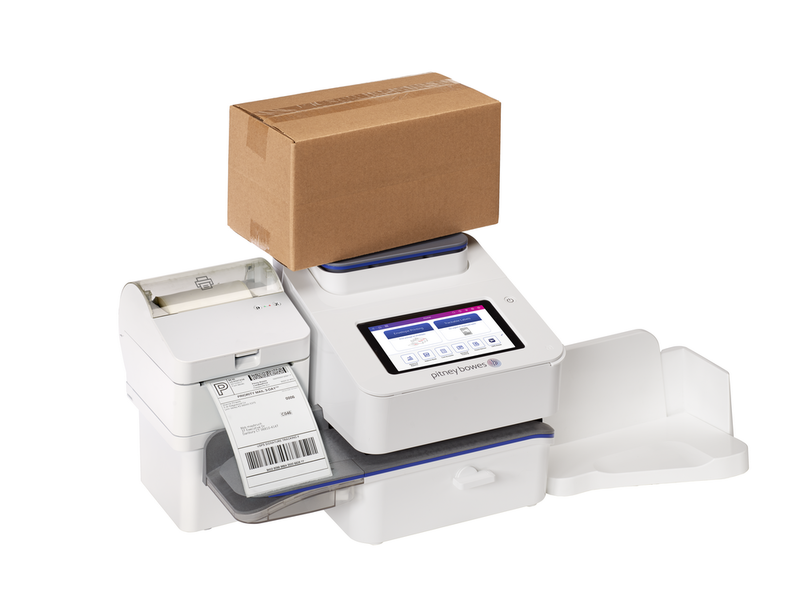 That’s been true from our first postage meter in 1920 to our digitally connected SendPro C-Series all-in-one office solution today. And with the help of Google, we’re delivering even more ways for our customers to reduce the complexity and cost of shipping, mailing, and global fulfillment. Google, through its Android, Apigee, G Suite and Orbitera teams and technologies, has been foundational to the digital transformation of Pitney Bowes and the new capabilities we can now deliver to customers. It’s been an incredible and exciting journey for us, with many learnings along the way. Before we could help our clients transform their businesses, we first needed to digitally transform our own. We began by reviewing our assets, such as our multicarrier shipping capabilities, data quality, location intelligence and mapping software. How could we securely and efficiently make these solutions available on open platforms? Could we combine them with features from our technology partners to create new solutions? What would be the best approach to modernize our offerings with our existing physical and digital solutions, without disrupting the customer experience? One of the ways we answered those questions was by creating the Pitney Bowes Commerce Cloud, based in part on Google’s Apigee API management platform. The Apigee platform and team helped us create new cloud-based solutions based on our assets and connect our new cloud solutions to our enterprise business systems such as billing. Today, we have 160 public APIs delivered from the Commerce Cloud in the areas of location intelligence, shipping, global ecommerce and payments. Apigee became the gateway that shares these capabilities with developers and technology partners in a developer-friendly way, while also helping to protect our new open developer environment from cyber threats. In addition, Pitney Bowes uses Apigee to grant internal developers access to more than 400 internal APIs. Our use of Android has modernized our physical sending devices and made them more flexible, user friendly and intelligent. The community of developers that can now create new applications and services for our sending devices has expanded from a handful to hundreds of Pitney Bowes developers—and millions of industry developers as well. We, our clients, and our partners choose from millions of existing Android apps that we deliver to help our users be more productive. The speed with which we deliver new value to our clients has accelerated dramatically. Furthermore, we’ll be leveraging Google Orbitera to provide an app store to our small businesses with access to innovative applications from Yext, Acquisio, G Suite and others. Providing our small business customers additional value from their relationship with Pitney Bowes will help them grow their businesses and operate more efficiently. We're very excited by what the future holds. By collaborating with companies like Google, and leveraging modern cloud, APIs, IoT and mobile technologies, Pitney Bowes is transforming how we serve our clients and reinventing our business for our next century.